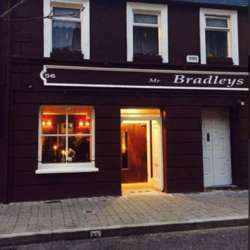 The next InterNations Cork Official Event will be at Mr Bradleys in Barrack Street. Don't miss this great opportunity to meet other internationals, welcome new members and have a lot of fun! Please click the "Accept Invitation" button to register. Further, please spread the word among other internationals and ask them to sign up if interested. Newcomers should RSVP so that we can send out contact phone numbers.